No matter what your medical poison is- Scrubs, House, MD, Grey’s Anatomy Or even (if you’re really old-school) M*A*S*H*– you know that the symptoms overlap, and you can’t get enough of the Vicodin that is a good medical show. Here’s making your diagnosis. You realize you wanted to be a doctor all along. Remember the Biology test you failed in, when your parents finally realized that someone who doesn’t know the spelling of Mitochondrion, let alone the fact that it is the powerhouse of the cell, should probably consider an alternate career? Well, THEY WERE WRONG. Binge watching medical shows has made you an excellent diagnostician, blessed with surgical precision, as well as the dark, brooding look of Hugh Laurie. It’s too bad you’re currently studying History. You can floor anyone with your fancy medical terms. A for Amyotropic Lateral Sclerosis, B for Bradycardia and C for Cholecystectomy. It’s too bad that mere observation of complex procedures can’t land you a job, but your vocabulary is sure to be a winner with any medical school student. Of course, experience (And Grey’s Anatomy) has taught you that they probably have no time for a coffee, let alone dating. Any fever is always a caused by a lymphoma. Until you decided to watch House, M.D., any fever was just a convenience, allowing you to spend the day at home. Now, a fever is a time bomb waiting to explode in your face, leaving behind a cold, gruesome trail of blood and bile. So obviously a fever means that you should get tested for everything- because gastroenteritis obviously means getting a biopsy report. It would be nice to throw an MRI into the mix. You expect every doctor to be blonde/ have a runner’s body/ an Australian accent. It’s always better to get the news that you have a life-threatening disease from a man with Hugh Laurie’s eyes, Patrick Dempsey’s smile or George Clooney’s face. It’s too bad that all the doctors you know are less McSteamy and more McNotReally. The sight of blood doesn’t unnerve you anymore. A hospital bed is suddenly a bed of potential romance. Love springs anywhere, and as any good medical show will attest, this includes hospital beds. Romance can happen when at work, and under heavy sedation, because of course J.D. has his Elliot and every Chase has his Cameron. Once in a while, every Izzie has her Denny. How those relationships turn out is a different matter of course. 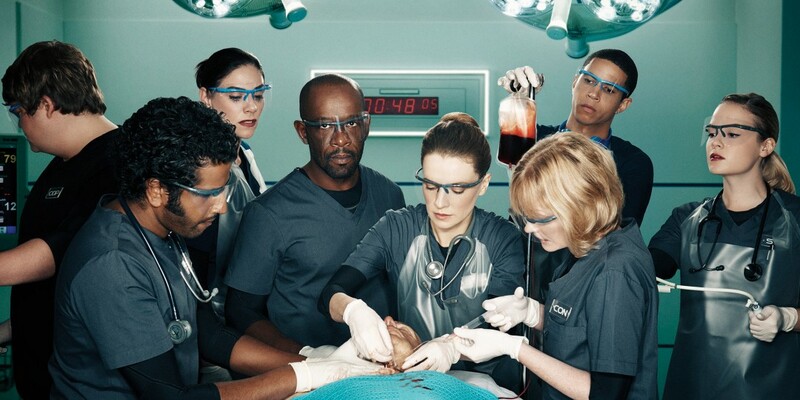 If you are a medical student, the whole purpose of your life is to use a medical show catchphrase. Of COURSE you want to stare down at a patient and go, ‘Everybody lies.’ Of course your patient’s baby is coming out of her ‘va-jay-jay’. And you want to say ‘I’m beginning to think E.R. stands for everyone’s retarded.’ Because you got the M.D. next to your name to be able to, and by God, you deserve it!